Log in to Mattermost as an administrator. Browse to the “System Console”. Navigate to the “Notifications -> Email” menu and set the values for your SMTP server. For example, to configure a Gmail server, use the values below. Remember to replace USERNAME and PASSWORD with your Gmail account username and password. Click “Test Connection” to validate the connection. If the connection succeeds, click “Save” to save the changes. 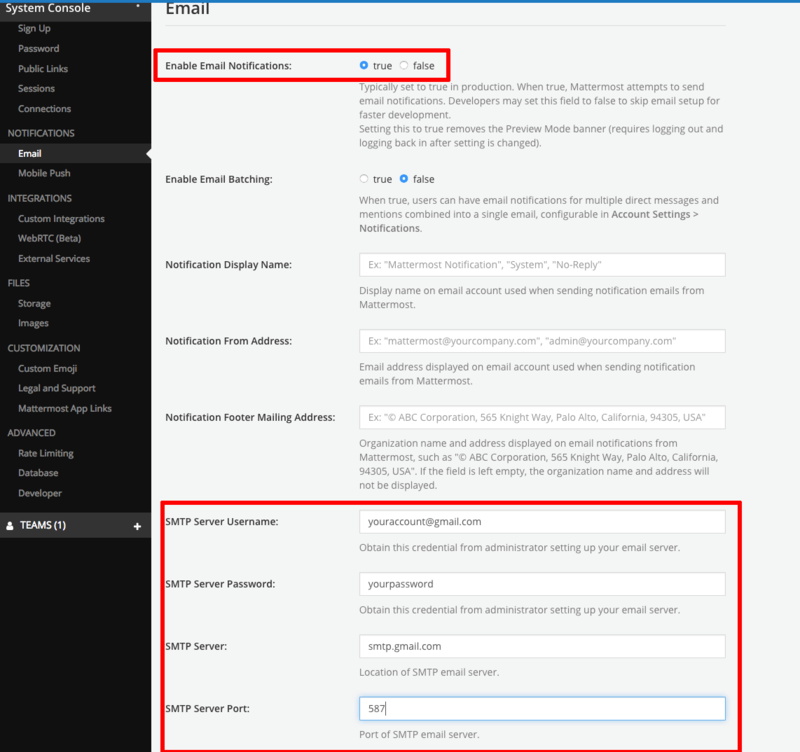 To configure the application to use other third-party SMTP services for outgoing email, such as Hotmail or Amazon SES, refer to the Mattermost official documentation.